Ruth A Sanders, 94, passed away on March 21, 2017 in Mesa, Arizona. She was born March 19, 1923, in South Wilmington, Illinois, to Herbert and Irene (Tracy) Nelson. Educated in South Wilmington, Morris and Mazon schools, she graduated in 1941 from Mazon High School. She was salutatorian of her class. 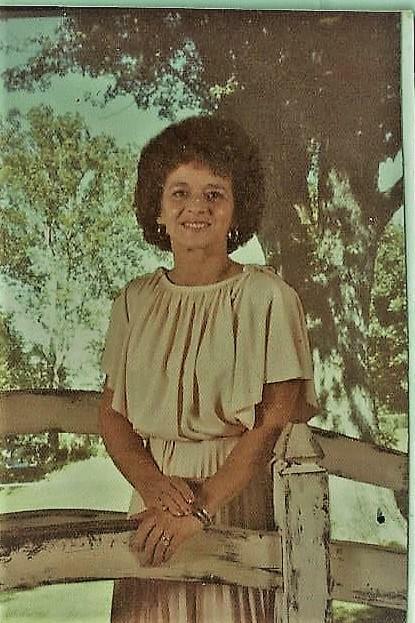 She is survived by her husband John R Sanders, Sr., whom she married on June 13, 1970, her son John R. (Pat) Sanders, Jr., Michael (Yvonne) Sanders, Maureen Sanders, Patti (David) Olson, all of Morris, Lynne (William) McGee, of Lisbon, Il., Ruth Cromwell, of Mesa, AZ. and Kevin (Robin) Sanders, of Williamsburg, VA. She is also survived by her beloved dog, Buddy. She has 18 grandchildren and 40 great-grandchildren. She was preceded in death by her parents, her siblings, David (in infancy), Samuel, Jesse, Herbert (Buddy), Rosemary and James. One grandchild, Jason Metzen and one great-grandchild, Bobbie Sue Lawrence. The family wishes to extend special appreciation to the staff at Banner Baywood Hospital in Mesa, AZ., to the staff and caregivers at Springdale Village Rehabilitation and Nursing Home in Mesa, Az. and to Family Comfort Hospice, in Scottsdale Az., for the service, care and love they extended to their wife, mom, grandma and great grandma. Funeral services and arrangements have been made under the direction of A Wise Choice Cremation and Funeral Services in Mesa, AZ. The family will hold a memorial service at a later date. Cremation rites have been accorded. Memorial contributions can be made in Ruth’s name to Family Comfort Hospice, in Scottsdale AZ., Maricopa County Animal Shelter, in Mesa, Az. , or to the donor’s choice.